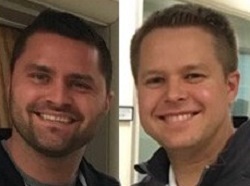 KNOXVILLE, Tenn. – Fueled by five double-figure scorers, No. 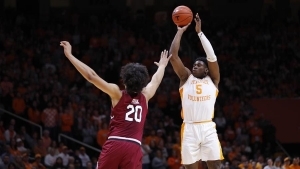 1 Tennessee continued its winning ways Wednesday night, defeating the South Carolina Gamecocks, 85-73, in Thompson-Boling Arena. The victory marked the ninth time in Southeastern Conference that play the Vols (23-1, 11-0 SEC) have won by double digits and the second time they have done so against South Carolina (12-12, 7-4 SEC). National Player of the Year candidate Admiral Schofield led the way with a game-high 21-point performance while grabbing a team-high 10 boards for his fourth double-double of the season. Tennessee extends its winning streak to a record 19 games while pushing its win streak in SEC regular-season games to 15. UT’s now has its best start in SEC play, starting 11-0 to best the 1976-77 team’s 10-0 conference start. The Vols had a balanced offense throughout the game, as every player who played more than three minutes scored and had at least one assist. National Player of the Year candidate Grant Williams led the team with seven assists to go along with eight points and nine rebounds. After taking a 13-point lead into the second half, the Vols maintained their double-digit lead throughout the rest of the game. Tennessee started out the second half on fire from the field, knocking down five of its first six shots to build the lead out to 62-46 at the 15:16 mark. Schofield scored 16 of his 21 points in the second half, scoring eight of the team’s final 10 points in the game to put away the Gamecocks. Both teams traded buckets to open the first seven minutes of action before Tennessee took control of the game. With UT trailing 15-12 at the 12:48 mark, a Lamonte Turner 3-pointer sparked a 27-6 run, putting the Vols firmly in control of the game. In the midst of the run, UT knocked down all five of its attempts from behind the arc. Tennessee started the game 6-of-7 from deep with a trio of makes coming from SEC Sixth Man of the Year candidate Jordan Bowden. The junior from Knoxville led the Vols in scoring in the opening stanza, contributing nine points. After being up by as many as 18 points in the first 20 minutes, Tennessee took a 49-36 lead into halftime. Sweeps Week: Over the past eight days, Tennessee has completed season sweeps of Missouri, Florida and South Carolina. The Vols will attempt to complete a season sweep of Vanderbilt next Tuesday at home. Swat Team: With three blocks against South Carolina, Grant Williams moved into Tennessee’s top five in career blocks with a total of 143 blocked shots, surpassing Dyron Nix (142). Williams joined teammate Kyle Alexander in the top five. Alexander, who ranks second all-time in Tennessee history, has 167 career blocks. AD Double-Double: Admiral Schofield’s 21-point, 10-rebound outing against South Carolina was his ninth-career double-double and his fourth this season. Schofield’s double-double is the 15th this season by a Tennessee player. Grant Williams leads the Vols with five such performances this season. Dimes a Dozen: Tennessee dished out 22 assists (on 34 made baskets) as a team against South Carolina, surpassing 20 assists for the 12th time this season. Entering Wednesday night, the Vols led the nation in assists with an average of 19.9 per game. Williams’ World: Despite scoring just eight points, Grant Williams contributed to Tennessee’s win over South Carolina in other statistical categories. Williams finished the game with eight points, nine rebounds, seven assists and three blocks. 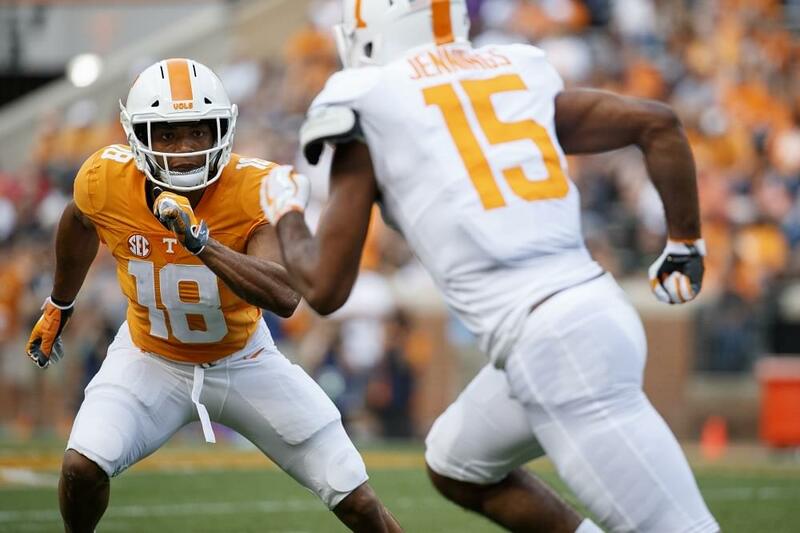 His efficiency rating of 23 led all Tennessee players, and marked his 18th game this season with an efficiency rating of 20 or better. Up Next: Tennessee travel to Lexington Kentucky, on Saturday for a top-five matchup with the Kentucky Wildcats. Tipoff at Rupp Arena is scheduled for 8 p.m. ET on ESPN.